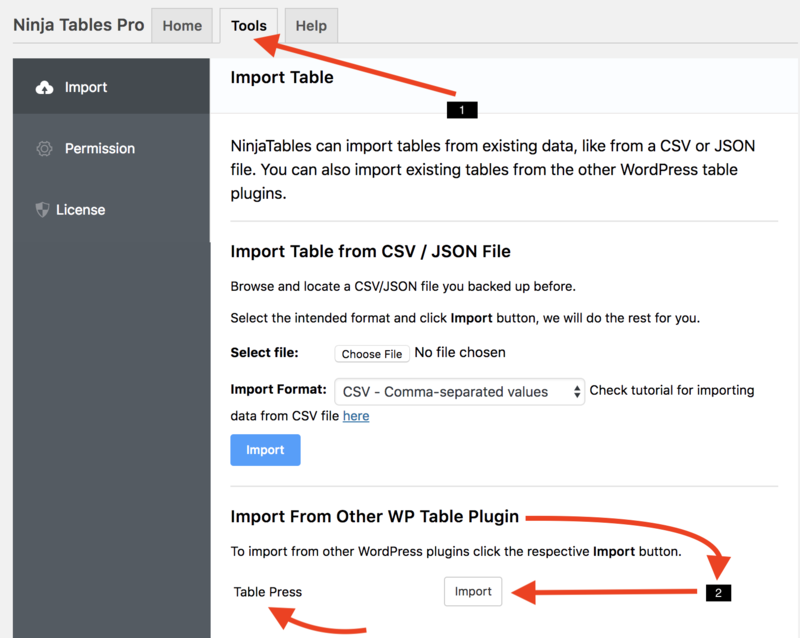 Other than importing tables from CSV/JSON files, you can also import existing tables from the other WordPress table plugins. To import Table from Table Press Plugin, go to Dashboard > Ninja Tables > Tools. Find “Import Other Tables” option under “Import table” option. To import from other WordPress plugins, click the respective Import button. 1. The following screenshot is a table created in TablePress. 2. From the Sidebar, find Ninja Tables menu, and click on “Import a Table“. 3. 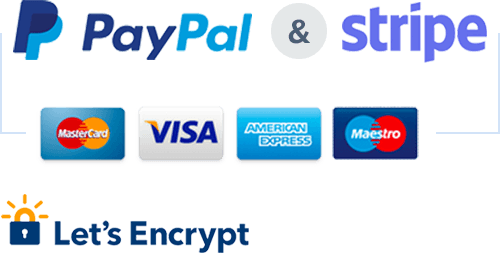 Once you are in the Import table menu, click on the Import button for TablePress under “Import from other WP table plugin” section. 4. Select the table you want to import from TablePress into Ninja Tables from the list of existing Tables in TablePress.